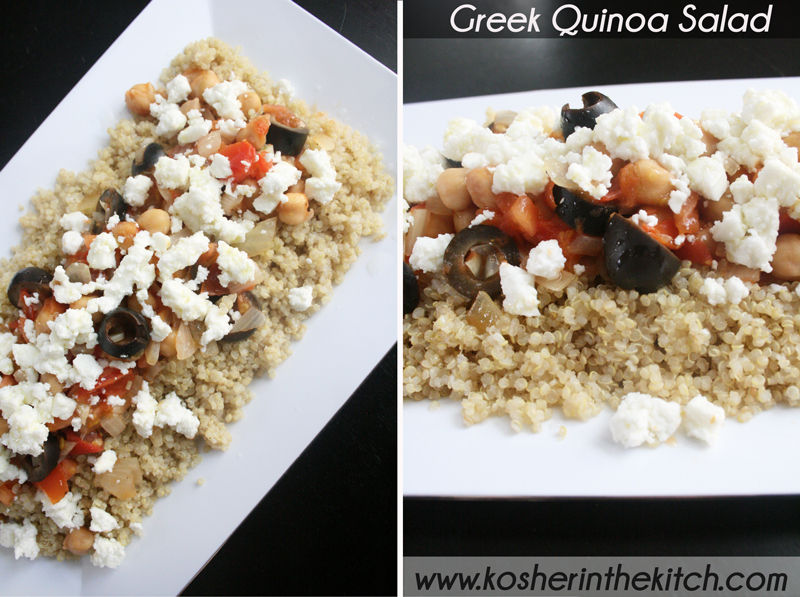 Greek Quinoa Salad - Kosher In The Kitch! Greek Quinoa Salad - Kosher In The Kitch! 2. Heat up 1 tablespoon of olive oil in a large frying pan. Saute onions until golden. Add tomatoes and cook until tender. Add chickpeas and black olives and cook for several minutes. Remove from heat. 3. 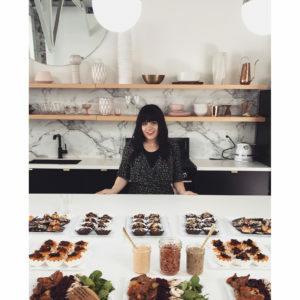 Place cooked quinoa in a large bowl or serving platter. 4. Add tomato mixture on top. 6. Drizzle olive oil on top of salad. 7. Squeeze lemon and season with salt and pepper on salad.